Check out what's new in Fortnite's v7.40 Patch Update! Learn all about the release of the new Infantry Rifle Weapon, return of Cupid's Crossbow, and Share the Love event, Overtime Challenges, and more. Overtime Challenges allows players to complete more challenges & earn more rewards while awaiting for Season 8. 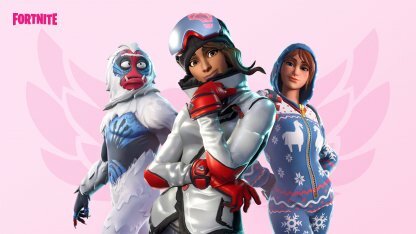 Players who complete any 13 Challenges by Feb 27, 2019 will receive a Season 8 Battle Pass for free! 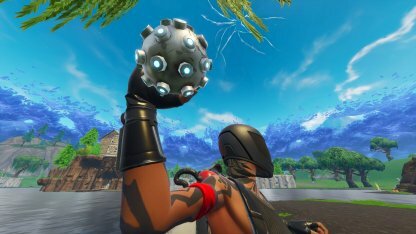 The highly anticipated v7.40 Patch Update is dropping with the launch of a new weapon. 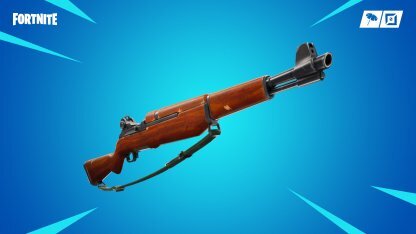 Shoot down enemies in classic style with the new Infantry Rifle weapon! 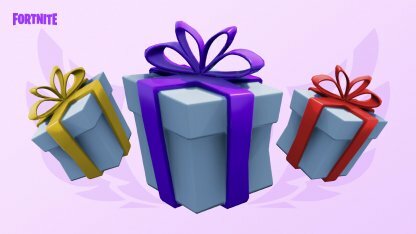 For a limited time, the Gifting feature will return alongside the v7.40 update. Until Feb 22, 2019, you will be able to send items that you have bought from the shop to your friends in Fortnite! New tournaments will also be available, including a "Share the Love Series" tournament, and a one-day trios cup! 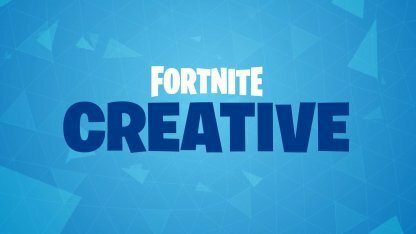 Creative now has many new tools for players to use while playing in this mode. Some of these tools allow you to resize props, and create your own original music! An oldie, but a goodie. Don't let the classic style of the Infantry Rifle fool you because it can work just as well in taking down enemies as the more modern guns in the game. The Gifting Feature makes a return in Fortnite! Send gifts to your friends in Fortnite as soon as v7.40 goes live, until Feb 22, 2019! 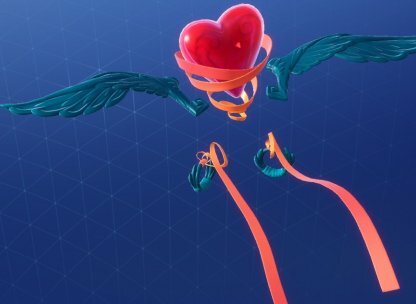 For Valentine's Day, you will be able to send the Heartspan Glider to a friend for free! Please note that any Heartspan Gliders sent after Feb 15, 2019 will not be free anymore. Go to the item shop and you will find the lovely glider! 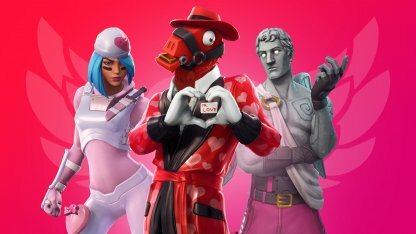 Spread love this February with the Share the Love event in Fortnite! 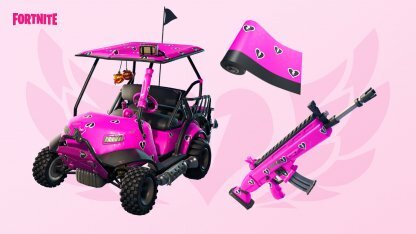 Support a creator to get a free exclusive wrap and complete new Overtime Challenges to get new Valentine's-themed items. The Cuddle Hearts Wrap will be released with the v7.40 Patch Update. Players who used a Creator Code prior to the release will still get the wrap as long as the purchase was done within the duration date. Seeking for more challenges to do before the release of Season 8? The Overtime challenges has got you covered! Complete these new challenges to unlock new rewards, such as the Valentine Wrap & Vines Contrail. 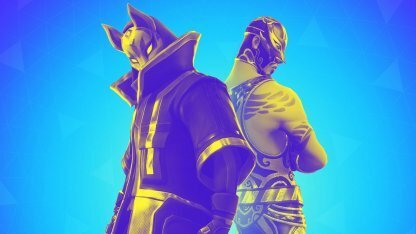 Players who complete 13 Overtime Challenges before Feb 27, 2019 will be rewarded with a Season 8 Battle Pass, free of charge! Make sure to complete as many Overtime Challenges as you can! Players who purchased the Season 7 Battle Pass will get a chance to acquire new styles for the Trog, Powder, and the Onesie skins! Complete Overtime Challenges to unlock them! Cupid's Crossbow was introduced in an earlier season, and will now make its return during the v7.40 update. 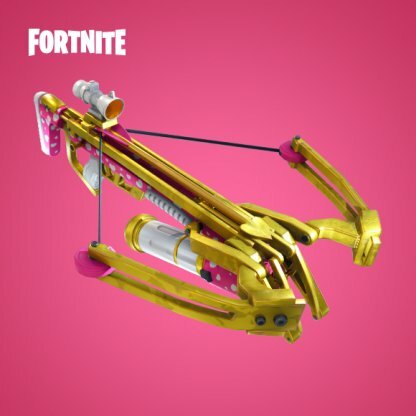 For a limited time, Cupid's Crossbow will be unvaulted and available across different game modes! 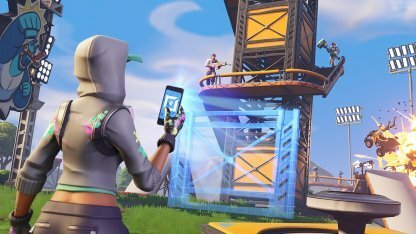 A new LTM: CATCH is introduced along with the update! In this mode, guns have been removed, and the only weapons available are grenades & other throwable items. Hand Cannons will now do less damage to structures per shot. Its structural damage has been lowered from 150 to 100. Reloading Rocket Launchers will take quite a bit more time now. The reload has been increased from 2.52 to 3.24 seconds for Legendary variants, and from 2.66 to 3.42 for Epic variants. 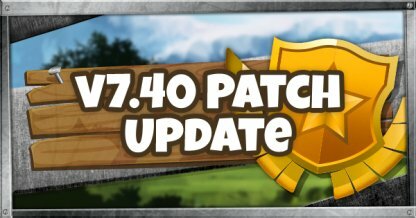 A new event will be available for players from Feb 14, 2019 to Feb 24, 2019. The Share The Love Series will be available in both Solos & Duos modes, and will allow you to complete in any of four division tournaments! During any nightly session, earning a certain amount of points per division will reward you with a pin. This pin will unlock the next highest division for you to compete in! When playing in the Champion Division, players that earn a pin while playing will be able to advance to the second round - the Champion Division Finals. Based on the highest division you have achieved during the tournament, "Share The Love Series" themed sprays will be rewarded to you! Champion Division Finals are also counted when Sprays are rewarded. Since the Share The Love Series tournament will be sharing the same tournament schedule across different regions, you can check your EVENTS Tab to view the full schedule within the game. The Trios One Day Cup is a new tournament that will span one whole day where squads of three will take on other teams of three. The Trios One Day Cup is open to all players. The Tournament will span across three rounds. Earning a pin during each round will make your team eligible to advance to the next round. The final round will feature the best trios! The Trios One Day Cup will take place during Feb 17, 2019. You can check your EVENTS Tab to view the full schedule within the game. 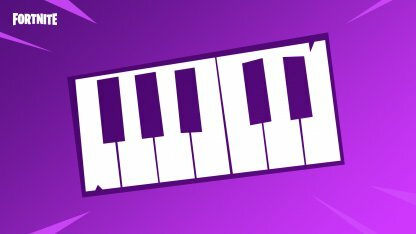 The v7.40 update also brings with it changes to Fortnite's creative mode! Below are some of the significant changes added to the mode. You will be able to resize props to just the right size in Creative when you have your phone equipped. All you need to do is to hold down the right face button on the controller or right mouse button on a mouse to toggle the feature. The Sequencer is a new device that allows players in Creative to create their own music while playing. The sequencer will be able to Trigger Music Blocks, and trigger other sequencers. It also has looping, trigger settings, and tempo options. 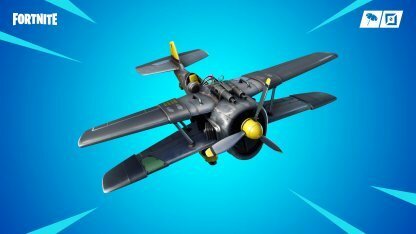 The X-4 Stormwing has received another tweak in this update. Crashing against structures with the Stormwing will no longer destroy them. 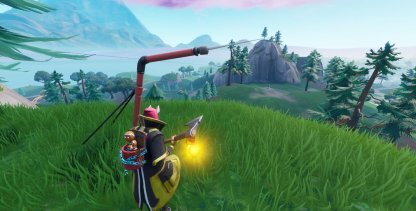 The Zipline got 3 significant changes in the v7.40 update. It will now have a prompt to use rather than automatically attaching players. 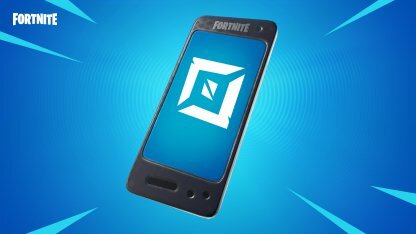 Using it will now negate fall damage, and Ziplines now have an audio visualizer icon. 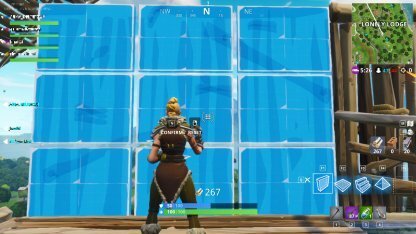 Prior to the uodate, it's impossible to edit structures while crouching. Now, players are free to edit them regardless if their character is standing or crouching. The Storm has also undergone some changes during the v7.40 update. 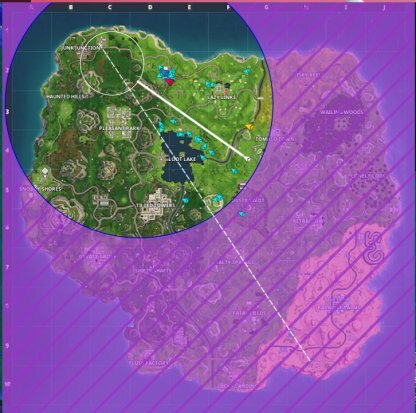 During its final phase, the Storm's travel distance is increased by 48%, and its shrink time has increased from 45 to 75 secondsshrink time has increased from 45 to 75 seconds.